Irish philosopher George Bishop Berkeley was one of the greatest philosophers of the early modern period. Along with David Hume and John Locke he is considered one of the fathers of British Empiricism. Berkeley is a clear, concise, and sympathetic introduction to George Berkeley’s philosophy, and a thorough review of his most important texts. Daniel E. Flage explores his works on vision, metaphysics, morality, and economics in an attempt to develop a philosophically plausible interpretation of Berkeley’s oeuvre as whole. Many scholars blur the rejection of material substance (immaterialism) with the claim that only minds and things dependent upon minds exist (idealism). However Flage shows how, by distinguishing idealism from immaterialism and arguing that Berkeley’s account of what there is (metaphysics) is dependent upon what is known (epistemology), a careful and plausible philosophy emerges. The author sets out the implications of this valuable insight for Berkeley’s moral and economic works, showing how they are a natural outgrowth of his metaphysics, casting new light on the appreciation of these and other lesser-known areas of Berkeley’s thought. Daniel E. Flage’s Berkeley presents the student and general reader with a clear and eminently readable introduction to Berkeley’s works which also challenges standard interpretations of Berkeley’s philosophy. Daniel Flage is Professor of Philosophy at James Madison university. "Daniel Flage's book provides much of value for all readers. His clear exposition and acute argumentation make it an excellent choice for beginners to Berkeley, while his careful account of the epistemological grounding of Berkeley's theory will interest and challenge Berkeley scholars." "Daniel Flage's clear, engaging, and wide-ranging introduction is a welcome resource for anyone who is studying Berkeley for the first time. Readers already familiar with Berkeley will be intrigued by its argument that Berkeley's idealism and immaterialism rest on epistemological premises." 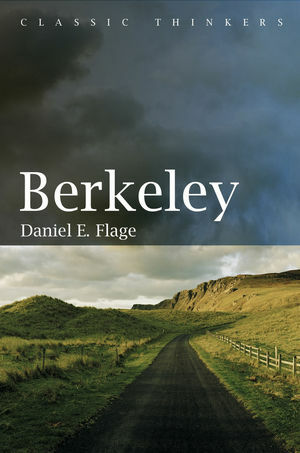 "One puts down this volume with admiration for the person of Bishop Berkeley and for the clarity in which Daniel Flage presents Berkeley's philosophy."